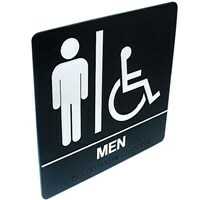 We carry a full range of tactile braille signs for the blind that keep businesses ADA-compliant and help blind and visually-impaired guests navigate safely and easily in private establishments and public areas. 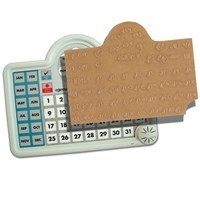 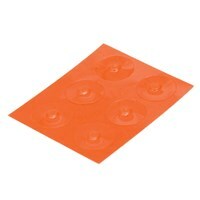 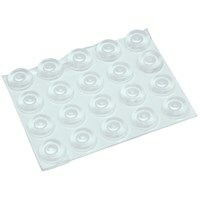 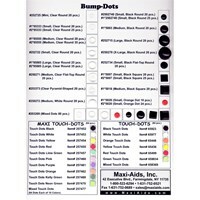 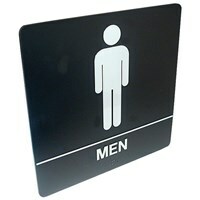 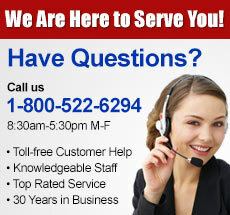 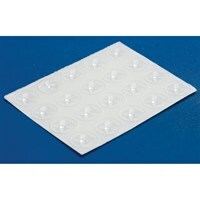 Navigate through live with ease knowing our reliable tactile and braille signs are there to guide you. 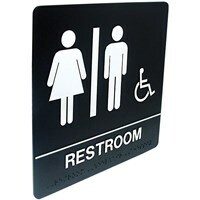 Tactile braille signs enable blind and visually impaired individuals to move around more confidently - from knowing where stairways are located, to finding the restroom and designated smoking areas. 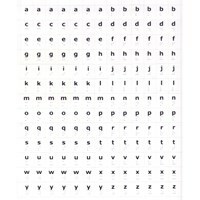 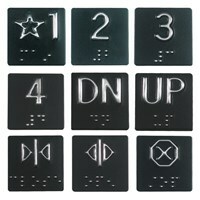 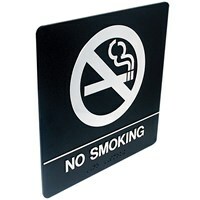 Our braille tactile signs have raised text and pictograms, white print on a black background and are made of durable plastic.